As a pastor, few things warmed my heart more than church members telling me they prayed for me daily. Their simple act of prayer both encouraged and reassured me. It encouraged me to know they were standing in the gap for me spiritually, and it reassured me to know they loved my family, the church, and me enough to do so. Now that I a member of a local church, God has been impressing upon my heart the importance of praying regularly for my pastors. They are men called by God to serve his flock, and they regularly bless my family and me. The least I can do is pray for them faithfully. There are many Biblical reasons why we should pray for our pastors, but let us consider just these four. First, pastors face a higher judgment. The ministry of the Word is a rewarding but dangerous calling. In fact, James cautioned that not many should become teachers because they will face a stricter judgment. In addition to the ministry of the Word, the pastor is also responsible for the souls of his flock. This is a daunting responsibility, for which they will give an account. If these were not enough, pastors also steward God’s glory in the church and before the community. Their character is to be sterling, and their reputation unblemished. God expects much of his ministers, and we should be much for them in prayer. Second, pastors face more intense temptation. Peter tells us that Satan roams about as a roaring lion seeking those he may devour; and there is no one he enjoys devouring more than a Christian minister, especially a faithful one. When he does, he not only ruins a pastor and his ministry, he also destroy a family, disrupts a church, and sullies God’s glory in that community. There simply is no sin like the sin of a clergyman, and there is no one Satan desires to bring down more than those whom God is using most fruitfully. Third, pastors face unique pressures. There are days pastors carry the weight of the world, and for reasons of confidentiality, all they can do is bottle it up. Whether it is a piercing word of criticism, a disruptive sin, a draining counseling session, a rigorous day of sermon preparation, or just the operational challenges of most congregations, all of these burdens—and more—can mount up to make the strains of ministry seem at times nearly unbearable. Fourth, pastors will bless you more. This final point may seem odd, if not altogether self-serving, but it is true. Over the years I have noticed the more I pray for my pastor, and especially his preaching ministry, the more I get fed from the pulpit. 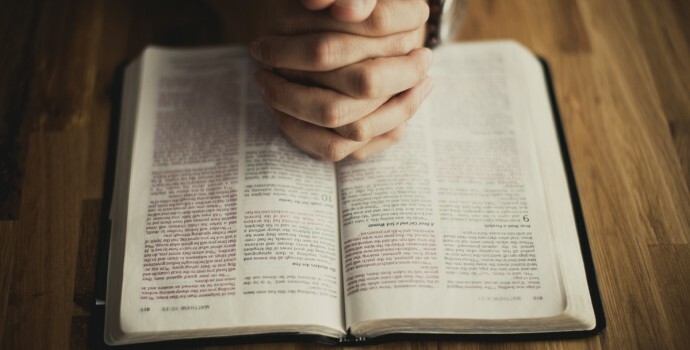 Perhaps it is God answering my prayer for my pastor, or perhaps my heart is better prepared to receive the Word after praying for the preacher, but time and again I have seen a direct correlation between the two. The surest way to be personally blessed is to pray more fervently for the preacher and the preaching of God’s Word. Any man can take the title pastor, and too many men have. Only those called of God can rightly shepherd his flock. If God has given you such a man, you have been blessed indeed. Make sure and bless him—and yourself—by praying for him daily. Pastor appreciation Sunday comes around one week a year. Why don’t you show your appreciation daily by praying for God’s man? This is indeed a heart searching article. The need for US to pray for our faithful, God called Pastors cannot be over emphasised. At times I get the impression that we only remember our Pastors during the scheduled church prayer meetings! But our Pastors face temptations on a daily basis. We need to PRAY for them on a DAILY basis during our personal devotions. We should also DO good to them whenever we can! I have been encouraged by this article to be more devoted to this duty.